Posted on May 31, 2018 at 10:32 am. PLAYERS at Guts.com can win a swag of prizes in the Vikings slots tournament, which kicked off on May 28 and runs through until June 3. While UK customers are excluded, European, Canadian and New Zealand players are free to enter the tournament, which is celebrating the release of the new NetEnt slot Vikings go Bezerk. 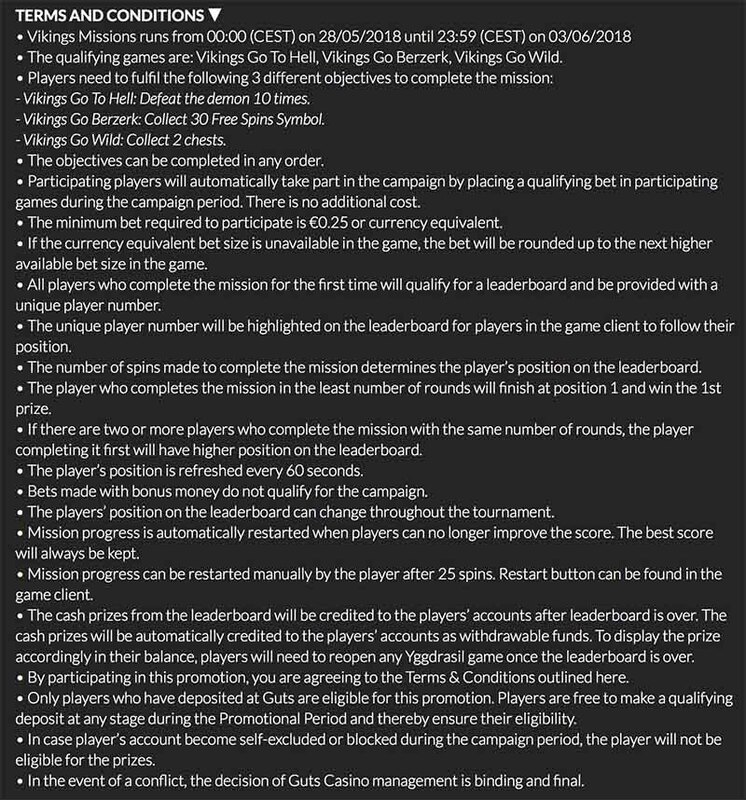 To qualify you need to play any of Vikings go to Hell, Vikings go Bezerk or Vikings go Wild with the ultimate goal being to complete the mission in the fewest rounds. The quicker you finish the rounds the higher you will finish on the leaderboard. The June Madness Tournament will begin on May 31 CEST time and run through until midnight on June 7. Again UK customers are excluded from this bonus offer which allows you to earn points and move up the leaderboard on three selected slots — The Champions, Great Rhino and Wolf Gold. 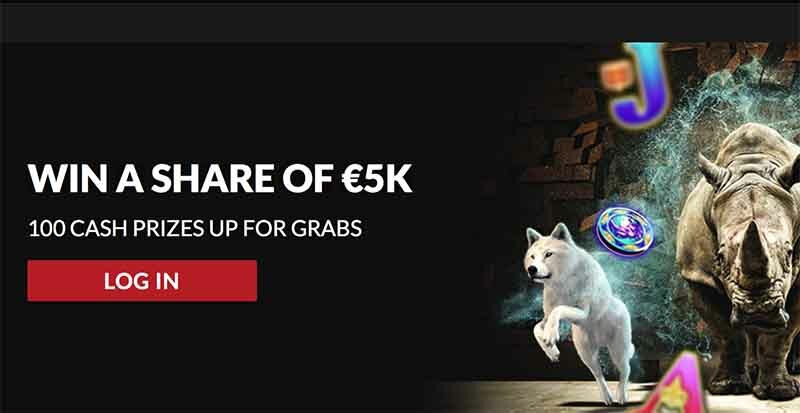 There is no minimum bet value required to be eligible for this tournament, which will give successful players a share of €5,000, which is split between the top 100 players. 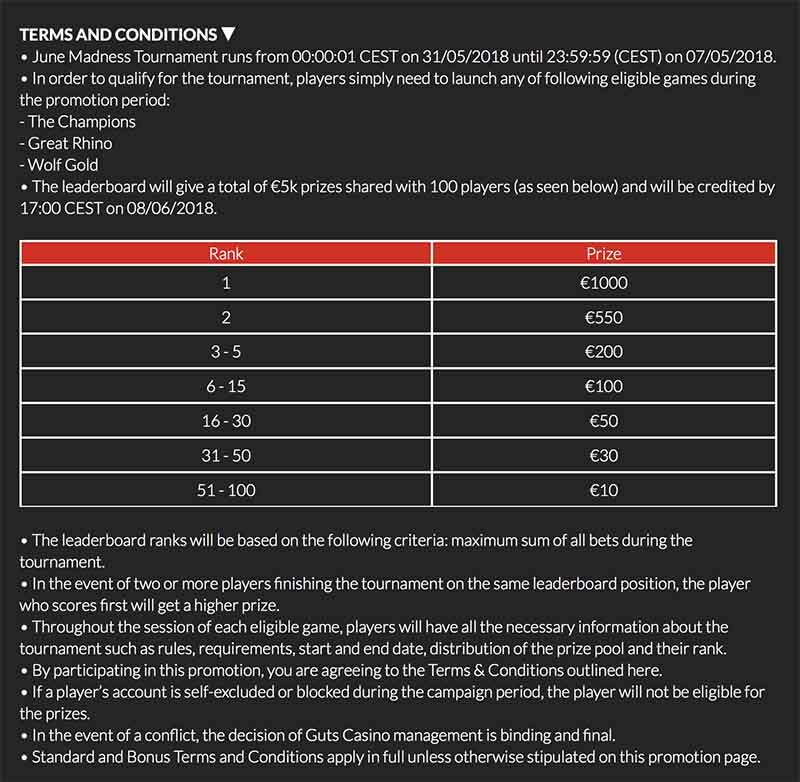 The top prize in the tournament is €1,000 with the bounties getting smaller the lower you finish.